Mailbag: Why is the Latin in Harry Potter So Bad? My parents and I saw The Deathly Hallows film last night. My dad (who has seen the movies but not read the books) had a comment. He is a little annoyed by the “obvious” or clunky use of Latin for all of the spells. To him, it sounds cutesy, as if kids are pretending to put together enchantments from little bits of pseudo-Latin roots. And why does it sound so, in a word, dumb? Not being a Latin-speaker myself, I gave it my best shot and answered his complaint as well as I could. As you are a Latin teacher, however, I’d love to hear your thoughts! So, why Latin? Are the spells grammatically and etymologically correct? Do they sound as clunky to you, a Latin teacher, as they do to the average reader/viewer? And, most importantly of course, does it mean contribute anything thematically? Thanks for the input in advance. You may have waxed on this before, in which case feel free to point me in the right direction. I do have my own opinions on this topic, but I just wondered what you’d have to say. I have two thoughts on this idea that the Latin in Harry Potter is dumb, neither of which points I think the dad in question will find persuasive. First, the death of Latin didn’t come when the western Roman Empire fell to the Jutes, Franks, Normans, et alios in the centuries following the Aurelians. If anything, the western Mediterranean became much more Latin-ized by the invasion of the Germanic tribes that had been warring with Roman Legions (and living in Roman provinces) since the days of Julius Caesar. Before the feudalization of the western empire by these Frankish hordes of poor Latin speakers, everyone of any intelligence in the Mediterranean spoke koine Greek. If you doubt that — and the Franks wrote the history books, so the idea is contra the ‘Latin West, Greek East’ text book mantra as well as the language liberties of Mel Gibson— you need only remember that St. Jerome did not translate the Bible, Old and New Testaments, from the Septuaguint Greek (and a little Hebrew, over St. Augustine’s objections) into Latin until approximately405 anno Domini. Greek was fine for more than the first four centuries of the Christian Era because, from Spain and North Africa to Asia Minor and Palestine, Greek rather than Latin was the language of the great majority of Roman citizens, East and West. What killed Latin in the West, then? It thrived right into the early Renaissance as a street tongue and as the lingua Franca (sic) of elevated correspondence, literature, the academy, theology, and politics. Then Petrarch, a Latinist now famous only for his Italian poems, decided that the Latin of the day was a debased and diminished shadow of Cicero’s Golden Age. One of the greater ironies of an age called a “Renaissance” or “rebirth” of classical learning and arts — and perhaps only “The Enlightenment” is a more ironically tagged historically period — was that its insistence on a “pure Latin” in a relatively brief time span made Latin, perhaps the greater continuous legacy of the Classical past (albeit through the barbarians who made serfs of the Greek speaking Romans), a language only of the Frankish, I mean ‘Roman’ Catholic Church and what passed as government and social elites. Forgive me, KS, but I have to assume that your father, like me, went to schools that align themselves with Petrarch and Cicero against the language and the thinking of the much more vital and profound Latin Middle Ages in the West. He thinks the Latin is clunky because he wants a Ciceronian and Propertian vocabulary and, forgive me, gravitas. Ms. Rowling doesn’t deliver that in her Hogwarts spells and Warner Brothers isn’t going to stretch themselves to make the films more attractive to Erasmian classicists. Ms. Rowling very specifically places the critical turning point of modern wizard history in the late seventeenth century, the year that the International Statute of Wizarding Secrecy is passed. I explained why she chose the English Restoration for this event in my Featured Speaker talk at Infinitus 2010, the wow HPEF event last summer in Orlando (Furioso), Florida. 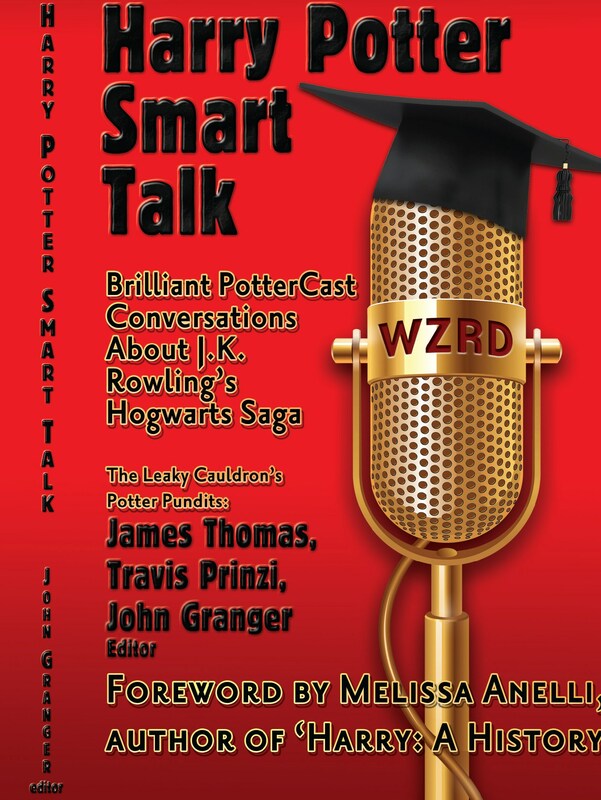 That talk, ‘Why She Chose 1692: The Real World Referents of Seekers and Muggles,’ is now the last chapter of Harry Potter Smart Talk: The Leaky Cauldron’s Potter Pundits Explore the Literary Depths, Heights, and Humor of J. K. Rowling’s Hogwarts Saga. I explain there what the Three Brothers, John Everard, the William Penn epigraph in Deathly Hallows, the Seekers, and Muggletonians have in common with the 17th century — and why 1692 was a very good year for wizards to make the prudential decision to exit the public square. Well, beside explaining the real world, historical foundation on which Ms. Rowling sets her (almost) portal fantasies, the 1692 essay in Smart Talk explains why the Latin is “so bad,” i.e., so non-Ciceronian or classical. It’s because the Latin of spell work in them is performed in late English Renaissance “pig” or vernacular Latin, a language further corrupted — whoops! make that “animated” — by another four or five centuries of dynamic, constant usage and evolution. As I said, I doubt either of those answers will satisfy the critical father. That demands that he be willing to concede the points that Petrarch was wrong, Classical Latin isn’t the best Latin, and that “classicism” is responsible for the gentrification and de facto death of this noble language. That’s quite a lot to ask of someone who walks out of a Harry Potter film talking about the quality of the Latin spells on screen! He might be the re-incarnation of Petrarch, if re-incarnation weren’t one of the silliest ideas of an age riddled with silly ideas. Tell him instead that Ms. Rowling was a French, not a Classics Major at the University of Exeter and that she taught French not Latin to pay her flat rent before becoming a gazillionaire. Her Latin, consequently, you can say, is the remnant of her atrophied Comprehensive School classics instruction and whatever side courses she may have taken at Exeter. I’m guessing dad already believes that the Latin stinks because Ms. Rowling’s Latin stinks. Confirm for him that this is a possibility and let it go. You and I (and whoever else is listening to this mailbag conversation, KS) know that it’s just as likely that the Latin is quite good and really very appropriate for a seventeenth century vernacular Latin. Only a mind shaped by University Classics departments, i.e., a mind trained to despise anything but the like of Virgil, Catullus, and maybe Augustine, will find this that hard to grasp, and, being one of those myself (so I appreciate the difficulty of ‘waking up’ to historical reality), I beg you to be charitable with him. Check out that Smart Talk collection, too, and let me know what you think of the ‘1692’ essay as well as the other scintillating Pundit conversations and private thinking. The rest of you? Your comments and corrections, please! Thank you for your reply! I showed your responses to my dad, and we both really appreciate it. Contrary to what might be your assumptions from my first note, my dad is not university educated in the classics. He taught himself the basics of Biblical Greek and Latin when he found Christ a few decades ago. He is quite emphatically academic by nature, not profession or “education.” As such, he was able to understand your post (certainly more than me, anyway!) and concede your points. While it’s somewhat pointless to argue preference of aesthetics and how things “sound” to each of us, he understood what you were saying and is basically convinced. He said that you really filled in a lot of holes for him, at least in his understanding of Ms. Rowling’s writing and why she does what she does. Job well done! He especially got a kick out of being compared to Petrarch! Maybe I’ll pass him the 1692 essay, which I already have on my shelf. I just wanted to extend our thanks, and give you the encouragement that sometimes (just sometimes) critics can be open to a change of mind. And a Merry Christmas to you and your dad, KS! 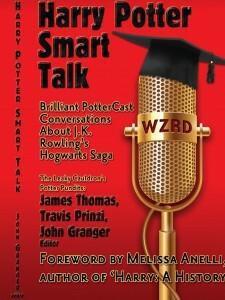 Thank you for the gift of your gracious and generous response — Let me know what your father thinks of Harry Potter Smart Talk! Um, no, she wasn’t an anything ‘major’ as UK universities don’t work on the American major/minor system. Her degree was equally divided between French and Classics.